Don Wilson playing his lucky fish! If I were a gambler, I would have lost my shirt. I was guiding my friend Don Wilson for Summer Steelhead on the Deschutes River near Maupin, Oregon. Before we fished I decided to go to Sherars Falls to check the number of fish that had passed over the falls that day. Normally in September and October the counts can be 100 or more, but to our displeasure we counted only 20. Regardless, we decided to fish an area that was called the Ledge Hole. 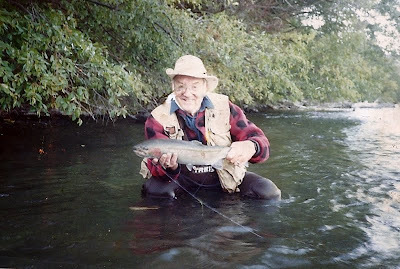 I knew the odds were not in our favor, but it was in the evening and the conditions were just right--no wind, shadows on the water and adequate room to lay the line out across a gentle riffle. As we approached the run I felt that hooking a fish would be a long shot. The water was at a good level and it allowed us to wade arm and arm across the uneven bedrock. Any higher and one could easily lose their footing. Fish often held close to the ledge in 5 to 10 feet of water and a short cast of 10 to 20 feet would often produce a good fish. 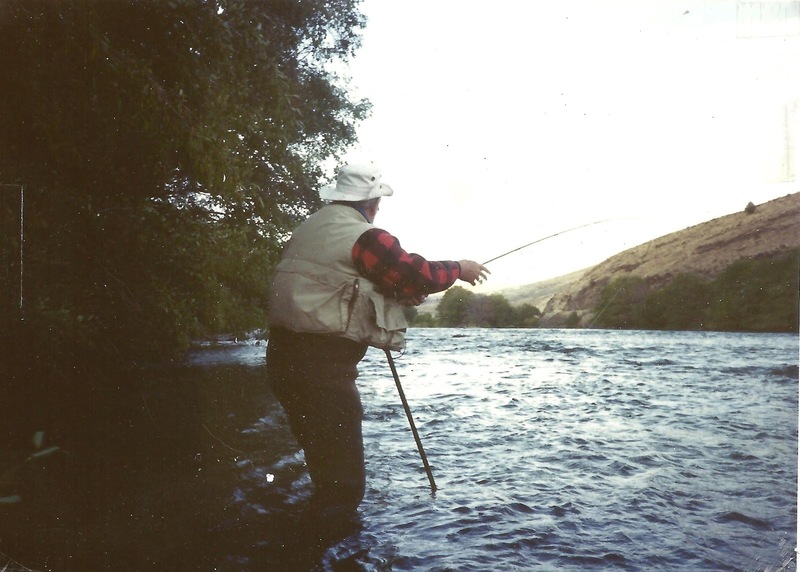 With a Max Canyon fly, Don made a 75-degree angle cast and let the fly swing across the riffle. Amazingly, a good fish took hard and the fight was on. After a spirited fight of seven or eight minutes he brought in and released a beautiful 8-pound Fall Steelhead. I congratulated Don and urged him to take several steps down and make another cast knowing that hooking another fish would be a long shot. As he approached the end of the run he made a final cast for luck and remarkably another fish took hard. It was a spitting image of the first fish and it was also given its freedom. A quick photo before its release! 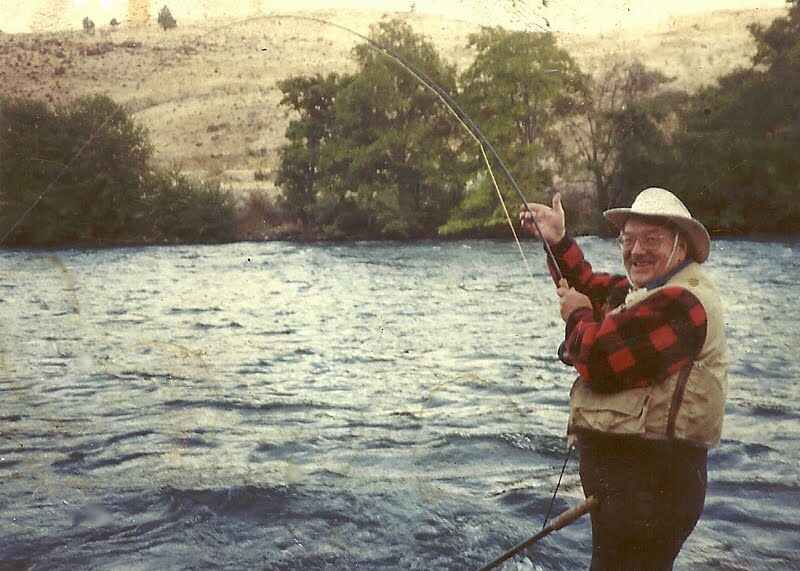 As we headed back I looked at Don and said, “Do you know what the odds of catching those two fish were?” As he quizzically looked at me I said, “Buddy, Lady Luck must have been on your side because you just caught ten percent of the Steelhead in this section of the river!” We laughed as we headed back to camp.